There are many banks and financial service providers that effectively use social media, while there are some that don’t have confidence in the importance of social media as a marketing channel and have taken a cautious approach. Whatever they may think but there is no escape from the fact that social media is here to stay. It’s all about adapting to it to get the best results and accelerate business growth. In past banks had to spend so much money to find out what customers actually want. Extensive surveys, focus groups etc. were conducted. Social media has changed that. Today, social media can help banks and financial service providers get closer to their customers and find out how to improve their products and services in much simpler and cost effective manner. This positively impacts the revenue if a strategy is in place. Social media provides opportunities to design customer-specific offers by gathering and analyzing social media data on a real time basis. Change in market leads to change in customer preferences. These preferences can be captured using social media platforms and converted into products. Through social media, banks can offer their customers better customer care services. Through social media platforms such as blogs, Facebook page, Twitter, etc. they can directly interact with their clients and customers and provide solutions to their complaints. Customer Peer Support: Customer support communities like ‘Discussion forums’ and ‘Ask and Answer’ provide an easy way for active customers to help each other resolve issues. This reduces the expenditure on customer service and support calls. Citi and Bank of America make use of customer peer support in their social media strategy. Establishing such discussion forums and communities for customers to exchange knowledge and financial tips encourages peer-to-peer support. ‘Social customer service’ costs only one-tenth of customer service provided over phone or by other means. It offers a low-cost solution with faster response time and helps in building strong relationships with customers. Engage Target Audience: Create dialogue with audience having common interests. Targeted communication to a specific set of like-minded people results in good customer engagement. For example, American Express has a successful small business community and Citi has specific investment communities for women. Advertising through social media can be used for brand building. Social media marketing is gradually taking over other traditional marketing methods – TV and print. Intelligent use of video and content can help banks reach to millions at one go. Even though social media is largely seen as a marketing channel only, if a good strategy is put in place it can be used for employee recruitment as well. Where can financial firms engage on the social media? Brand Building: Social media can be used for gaining publicity for your brand and social media is a powerful tool that comes to the rescue in times of crisis. Direct engagement of staff with consumers brings about a sense of understanding and transparency. New Product Launch: Social media provides an ideal platform to create some buzz before the launch of a new product or service. Small and medium enterprises can be invited to write blogs or publish video interviews to create awareness and generate interest. Marketing Campaigns: Periodic marketing campaigns can be planned and executed effectively using social media. Social media encourages end-user participation, thus paying bigger dividends through increased sales. Customer Service: Social media can be used to solve customers’ problems and everyone can see the problem being resolved. Social media provides a low cost platform to engage directly with the customers. Many banks such as Citi, Bank of America, USAA, etc have used facebook and twitter for customer service. Various international and national laws and regulations exist with regard to use of social media in banking. Laws in some countries restrict international banks from integrating any type of social media with their consumer relation management system. There are regulations that prevent financial institutions from giving financial advice through social media due to privacy concerns of customers. Social networks also have their own terms and conditions that need to be followed while communicating with existing and prospective customers. As with positive ones, negative opinions on social media can go viral in no time. This can degrade the brand image of financial institutions. Even consumers generally opine that if they find the social media behavior of an institution unsatisfactory, they may stop using the brand. Hence, it is necessary to have the right resources, expertise and strategy to be in place for social media. Social media strategy needs to be carefully planned and integrated with core marketing and strategy of a financial institution. Superficial efforts often do not do any benefit. Wells Fargo: Wells Fargo is considered a leader among banks in their use of the social media. They have a dedicated group to manage their social accounts. The group follows all comments and posts by customers and learns about the overall sentiment among the customers. The bank uses social media to engage with existing and potential customers. Blogs: Wells Fargo was the first bank in the US to have started with a blog. Blogs help them build and maintain relationships with their customers. Today Wells Fargo has different blogs specific to different communities. They are Beyond Today Blog (addresses retirement concerns), The Student LoanDown (financial aid process), Wells Fargo Environmental Forum, AdvantageVoice Blog (Investment News and Economic Insights) and Guided by History Blog. YouTube: Videos on YouTube are mainly used to educate customers. Wells Fargo has three YouTube channels – Wells Fargo YouTube channel for covering bank’s history, recent TV commercials, product information, latest news, etc. ; Wells Fargo Small Business YouTube channel for best practices and strategies to run small businesses successfully; and Wells Fargo Commercial channel for information on commercial and wholesale banking services. To engage customers, Wells Fargo had launched a video contest in 2008. Contestants had to download a song provided by Wells Fargo and create the best version of the song. The winner was decided based on voting by people and it was aired during the Rose Bowl. Twitter: Wells Fargo has two twitter handles – @Ask_WellsFargo (17,715 followers), @WellsFargo (42,234 followers). They use twitter to provide real time assistance and useful tips to their customers. Facebook: They has two facebook pages – Wells Fargo with 5,15,070 likes and Wells Fargo History Museums with 4,224 likes. Stagecoach Island Community: In 2005, Wells Fargo experimented with a pilot project called ‘Stagecoach Island’ multiplayer video game built inside Linden Lab’s ‘Second Life’ virtual world. The intention behind this was to educate young people on financial responsibility. Players here were given imaginary $30 with which they could skydive, fly hovercrafts, dance and shop. The game included financial tips on money management. The idea was to teach players to save money – they earned 10% per day on deposits and answering quizzes on money management rewarded them with $5. American Express: American Express developed a program which allows American Express customers to link their bank accounts with twitter. The use of specific hash tags will earn the customers savings from designated partners. This is a long term social and brand campaign to reward existing customers. Bank of America: Bank of America uses its twitter account to track customer relationships and reduce response time to enquiries. Caja Navarra: This Spanish bank provides customer support via Facebook, twitter, YouTube and Skype. The bank tries to better understand their customers’ needs through social media. Jyske Bank: This bank in Denmark offers its clients interactive Q&A sessions through a social TV channel. First Direct: This is a UK subsidiary of the global HSBC bank. They have used facebook as a platform for customers to exchange advice and receive feedback from peers as well as from the bank. Deutsche Bank: The Deutsche bank conducted a poll asking their customers to vote for features missing in their portfolio. This led to them coming up with 27 new customer product ideas. CIMB Bank: CIMB bank has integrated social media with their communication strategy to engage customers with competitions or letting them decide how they want their next credit card layout to be. HDFC Bank: The social strategy used by HDFC bank (India) is ‘Engage, Evolve and Excel’ which has helped them garner a lot of customers. Banking sector is sensitive to negativity in the social media but HDFC bank has kept this minimum by having interactions, engagements and an effective customer service team. Social media is used to reach out to customers and fans and to engage them with informative and interesting contests such as tax trivia and secure banking contests. These contests present a fun way to learn finance and banking related matters. Facebook: HDFC bank’s facebook page as over 1.5 million likes. They largely use facebook for marketing, advertising and promoting their products and services. They also generate feedback from fans and followers which help them build a strong relation and trust with its customers. All kinds of financial news and updates on latest deals and credit card tips are provided to the fans. They even have a tab on their facebook page called Taxpert where tax experts give their views and answer queries. They keep fans engaged through contests, puzzles and finance related facts. They have been successful in directing traffic to their website as well. On the facebook page they sustain regular conversations with customers and encourage repeat purchases on credit cards, etc. Twitter: HDFC bank has two dedicated twitter handles both with about 7.5k followers- @HDFCBank_Cares for all sorts of customer queries and complaints and @HDFC_Bank for providing useful finance tips, information related to tax and offers etc. They are very active on twitter and are generating followers at a fast pace. Their approach involves sharing interesting facts and information with followers and engaging them with contests and puzzles. And then they share information about products and deals offered. Customer queries are well handled with the explanations being considerate and personalized. YouTube: HDFC bank posts many engaging videos and commercials which acquire a high viewership. 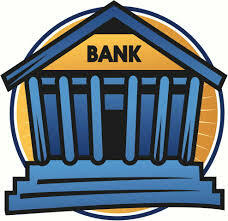 The videos are beneficial to the customers, for example, they have ‘how to’ videos for mobile banking, net banking, etc. LinkedIn: The bank’s LinkedIn page has over 47k followers. Users can browse the company details and employee information. HDFC bank displays their products and services on their LinkedIn page and can get recommendations from users. Pinterest: They have boards that give information about offers, products and tips on banking and financial services. Foursquare: Offers and privileges tips are provided for customers to avail using the HDFC bank credit and debit cards. Google+: HDFC bank provides useful information through Google+ as well. Their Google+ page has over 1.5 million fans. Barclays: In June 2012, Barclays bank introduced a fictional character called Dan as their mascot on their facebook page. Dan was a hapless man always in need of financial advice. They introduced Dan around the same time they had been caught for having manipulated interest rates and were paying the fine for that. The timing was really bad and Dan became the target of outraged customers. Also people don’t trust banks easily, so before introducing any new campaign in the social media it is important to gain trust from the target audience. Bank of America: In 2011, Bank of America fell victim to a fake Google+ business account created in the bank’s name. This was within a week after Google launched the official service for businesses to use the social network. The hackers tried painting the Bank of America in bad light with their articles. The page was later taken down and Bank of America got an authentic page with a ‘verified’ check mark. Commonwealth Bank: Sometimes banks can also become victim of negative responses on social media. This is generally not because the company had a bad social media strategy. Here is an example. In December 2011, Commonwealth bank in Australia faced a five hour computer meltdown due to a connection failure. Customers were unable to access bank’s contact centers and phone banking. This made the customers furious especially because it the season for Christmas shopping and they were not able to access their accounts. Many of the customers showed their anger on social networking sites. This is the kind of event that every bank fears – in case of a problem a lot of negativity can be seen across social media sites damaging the brand image. Global economic crisis that hit the financial sector in recent times has resulted in a loss in customer trust and loyalty for banks and other financial service providers. Integrating social media strategies with customer relation management systems can be an effective way to carry your words to the masses and rebuild the trust. There are enough examples to show how banks can execute a great social media strategy to increase their reach, loyalty and business. With continuous monitoring and good content social media can really become a great strategic and marketing tool for financial industry.